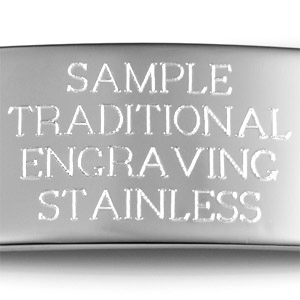 This small black steel round pendant looks great when personalized with a symbol, monogram, date, or message. 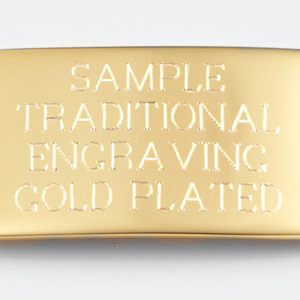 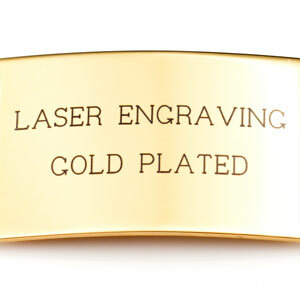 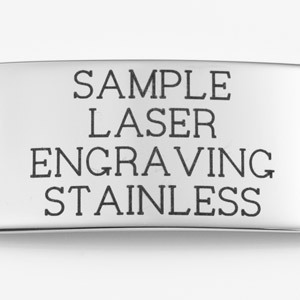 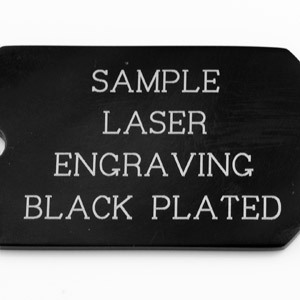 Specialized laser engraving creates a high-contrast inscription. 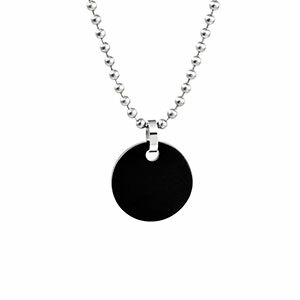 Comes with 20 inch silver ball chain.